Spanish football expert Guillem Balague has revealed that Christiano Ronaldo is ready to end his tenure at Real Madrid. The report claims Real Madrid are also open to a sale, provided the price is right, but how much will this affect the Spanish giants? And, who can possibly replace a man that has scored 422 goals in 418 games. Speaking on the situation Guillem Balague said: "Ronaldo's message is he wants to leave, and it appears Real Madrid will be willing to let him go. However, Real would love to see a fight between PSG and Man Utd, but the situation is more complicated than simply being interested in the player.” To add to a net annual salary demand of around £44m, Real Madrid would also demand around £89m for CR7, which is an almighty expense for a player who would arrive aged 33. Ronaldo is no doubt still very good and it is not a surprise bookmakers with new betting offers for UK players have him 10/1 odds for Ronaldo to be the top scorer at the next World Cup. But he won't be cheap even if he chooses to leave Real Madrid and the Merengues choose to sell him too. With Manchester United set to seal a deal for Alexis Sanchez, it's very unlikely they will have the funds to sign Ronaldo. Remember, United aren't run by a sugar daddy, they're a self-sufficient, revenue focused football club; and aside from the fee, it is well known that Mourinho and Ronaldo don't always see eye to eye. With that in mind, PSG are likely to continue to laugh in the face of Financial Fair Play rules. Ronaldo may have peaked physically, but he misses very few games through injury, and his finishing is second to none. Even this season, he's notched an impressive 16 goals, despite being horribly out of form. That is more than Eden Hazard, Alexis Sanchez, Antoine Griezmann, Luis Suarez and Kylian Mbappé. So, the question is who can realistically replace Cristiano Ronaldo at the Santiago Bernabéu? The Madridistas are difficult to please. They don't accept mediocrity and they don't give stars time to settle. Look at the number of players who have gone and failed to hit the heights expected of them – Kaka, James Rodriguez and even Gareth Bale to a certain extent. These players were top quality before their arrival, but the demands of wearing the white kit are high. Eden Hazard has been touted as the next Gallactico signing, but does he have the pedigree to replace Ronaldo? Does he have the backbone? 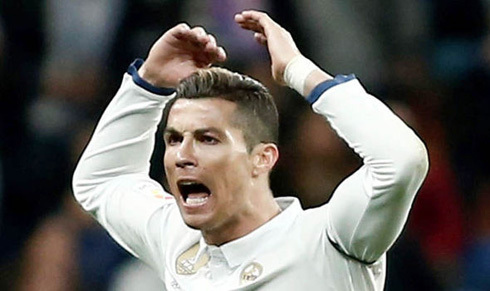 It's not just Ronaldo's goals that need to be replaced, but that unwavering nerve and ruthless character that has seen him drag Madrid through big, big games. Can Eden Hazard do that? Is he even good enough to play for Real Madrid, or is Eden Hazard more style over substance? Ronaldo's style has waned with age, but his substance hasn't. Hazard's goal scoring remains a doubt, and at 27, he should be in / entering his peak – the goals should have arrived by now. His record of 81 goals in 277 games for Chelsea isn't bad, especially when you consider his all-round contribution, but Hazard has never scored 20 goals in a single season. To put it into perspective, Gareth Bale has already scored 74 goals in 166 games for Madrid, despite spending more time on the treatment table than on the pitch. Eden Hazard also has the potential to go missing. Just two seasons ago, when Chelsea finished 9th, Hazard didn't score until January 31, and notched just six goals all season. At Real Madrid, his fancy touches would not last two minutes. While they appreciate great football, they demand results. They feed off trophies, and Hazard has never shown he has the ability to step up on a consistent basis. Hazard may be a strong addition to Real Madrid, but not as a Ronaldo replacement. The only man realistically capable of replacing Ronaldo is Neymar, and he's unlikely to leave PSG any time soon. 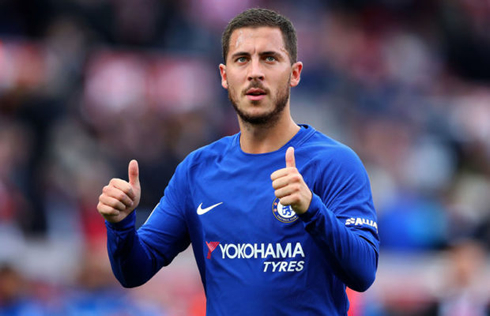 With that in mind, Real Madrid should not be looking at a straight replacement – they should add Hazard on the left and replace Benzema with an out and out goal scorer with an ice cool temperament. To succeed at Madrid, hard work and level headedness is needed. At this moment in time, there is no one better at that than Harry Kane. He's tearing apart the strongest league in the world, carrying his side through games, and he now guarantees 30 goals plus a season. Kane would need convincing, he'd be expensive, but he would deliver. Replacing Ronaldo will not be easy, but a combination of Kane and Hazard, with a fit Gareth Bale on the right hand side, would see a fresh impetus in the Spanish capital. Real Madrid must do everything to make this happen. Cristiano Ronaldo next game for Real Madrid is on January 21 of 2018 against Deportivo de la Coruña. You can watch Juventus live stream, Real Madrid vs Deportivo, Betis vs Barcelona, Inter Milan vs AS Roma, Southampton vs Tottenham, and Lyon vs PSG, all matches provided from our live soccer game pages.